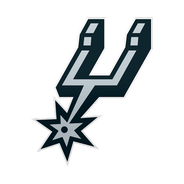 Mills revealed prior to Tuesday's Game 2 that he's playing through a hyperextended left thumb, the San Antonio Express-News reports. Mills has apparently been battling the issue since late in the regular season, but it hasn't landed him on the injury report, and he doesn't expect to be overly limited going forward. "It's OK," Mills said. "You really only feel it when you go to pass the ball, or if you catch it on someone or something." Through the first two games of the series, Mills has been relatively quiet, putting up four points (2-3 FG) and three assists in Game 1 and following up with five points (2-5 FG, 1-3 3PT) and five assists in Game 2. Mills compiled 17 points (5-11 FG, 4-10 3Pt, 3-4 FT), two rebounds, three assists and a steal over 20 minutes Friday against the Wizards. Mills drilled four treys on the way to a 129-112 win for the Spurs. 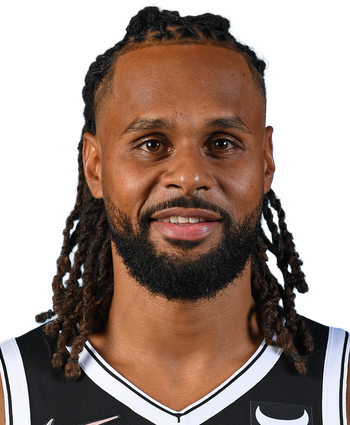 He's served as one of San Antonio's top reserves this season and is averaging 9.8 points along with 2.2 rebounds and 2.9 assists over 79 matchups. Mills will take the court next against the Cavs on Sunday. Mills registered 14 points (5-9 FG, 4-8 3Pt), a rebound, two assists, a steal and a block over 21 minutes Tuesday against Atlanta. Mills did the majority of his damage from beyond the arc, where he drilled 50 percent of his attempts. His scoring production has been sporadic over the last five games, although he has finished in double figures three times during that stretch, despite failing to log more than 23 minutes in any single contest. Mills should continue to serve as one of San Antonio's top reserves through the final four games of the regular season.